Dallas Cowboys (13-2) – The Cowboys made it look easy on Monday night cruising to a 42-21 win over the Detroit Lions. The Cowboys had nothing to play for, and the Lions had everything to play for, and it was still a very one-sided contest in the Cowboy’s favor. This finally convinced me that this team is truly ready to step up and be like the Cowboys of old. 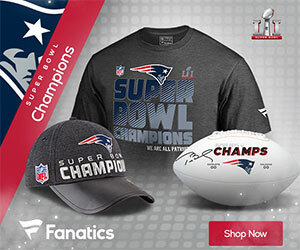 New England Patriots (13-2) – The Patriots made easy work of the Jets on Saturday in their thirteenth victory of the season. Brady continued his impressive play as the Patriots inched just a little closer to the number one seed in the AFC. With Carr lost for the Raiders, its seems that home field advantage is locked up for this Patriots team. Pittsburgh Steelers (10-5) – The Steelers are peaking at the right time. They have won six straight since their mid-season slump and they have the best QB-RB-WR combo in the NFL right now. If this Steelers team can continue to click, they will be the team to beat in the NFL. Kansas City Chiefs (11-4) – The Chiefs proved yet again that they are a true contender this season with another impressive win over the Denver Broncos, officially eliminating the defending champs from the playoffs. The Chiefs don’t always do it with the most style, but they get it done none-the-less. Watch out for this team come playoff time. Atlanta Falcons (10-5) – With a Seattle mishap the Falcons were able to grab the number two seed for the time being and look to lock it up this coming week. The Falcons have a great offense and are sleeper contenders for the title. It would be a tasty matchup between these Falcons and the Cowboys in the NFC Championship. Look out for this Ryan-led team in the coming weeks. Green Bay Packers (9-6) – Someone woke up a monster, and his name is Aaron Rodgers. The Packers have been on an absolute tear through the league storming back to tie for the division lead going into the last game of the season against the Detroit Lions. Both teams are looking to take the division title, and both teams are playing well behind the arm of their quarterbacks. Seattle Seahawks (9-5-1) – The Seahawks continued their inconsistent play this week in a loss to the Cardinals at HOME. Wow! Nobody expected that kind of game between these two teams, most expected the Seahawks to wrap it up early, instead they had to come from behind only to fall short in the last seconds. The Seahawks have something missing this season and it might just not be their year. Miami Dolphins (10-5) – Tannehill who? Matt Moore has led this team to the postseason. They look to face the Steelers in a rematch between these two teams. The Dolphins have looked great this year and have clinched a playoff spot for the first time since 2008. Not sure how they will fair at Heinz Field, but you have to respect the job that coach Gase has done this season with this ball club. New York Giants (10-5) – Where’s the offense? We have talked about Manning and OBJ all season, but with the Giants struggling without a run game, teams can sit back and cover those Giant receivers. The Giants would be lucky to face the Cowboys in the playoffs (since that’s the only team they look likely to beat) but they are going to have to get out of the first round. A run game is a must if they want to do anything in the post season. Detroit Lions (9-6) – The Lions had their season on the line this past week against the Cowboys and got absolutely pummeled by Dallas. The Lions have now set up a week 17 showdown with division rivals the Packers in what looks to be a winner take all scenario between these two teams. Stafford is going to have to play flawless in order to beat Rodgers and the Packers. This should get interesting ladies and gentlemen. Houston Texans (9-6) – The Texans are by far the worst team in the playoffs this year. They do not have a true quarterback, and their defense is highly overrated. I am not expecting much out of this team, but it seems as if Tom Savage has some type of magic up his sleeves grabbing two wins in a row for this team. The Texans might be able to sneak by some people in the first round. Oakland Raiders (12-3) – I would move the Raiders down in the 20’s if it were not for them already securing a post-season berth. McGloin is not the answer at QB and this team will lose the rest of its games this season. I just feel bad for this team after going 12-3 to have this happen is just unfortunate. Washington Redskins (8-6-1) – The Redskins just might be able to do it. They have to win and hope that the Packers win as well in order to make it into the playoffs. They have a tough matchup against the Giants to deal with this week, but they still have plenty fight left in them. Cousins has earned a new contract and should be paid this offseason. Time will only tell if this team can pull it off. Baltimore Ravens (8-7) – The Ravens were all set to take down the Steelers and claim the division crown, but now being on the outside looking in, the Ravens have to look towards next season to make a run at post-season play. This team really did not take advantage of the multiple opportunities they had to win their division. Denver Broncos (8-7) – The champs are out. The Broncos had multiple chances to make the most out of this season and were never able to capitalize. This team needs to find some identity on offense, it is such a shame to waste so much talent on defense. Tampa Bay Buccaneers (8-7) – The Buccaneers were the hot ticket a couple of weeks ago, but with losses to Dallas and New Orleans back to back, the Buccaneers are officially out of the playoffs and now have to look forward to next season. This team is young and talented, and should be back in contention next year for the division title and possibly more. Tennessee Titans (8-7) – So unfortunate that Mariota had to go down with a fractured fibula, this team was on the rise and looking to do something this season. But with this blow, they are going to have to wait for next year. This team will be back with a vengeance in 2017, mark my words. Buffalo Bills (7-8) – Rex Ryan was officially fired along with his brother and the people of Buffalo are saying good riddance!! Ryan was 15-16 in two years at the helm in Buffalo, not really accomplishing much with that talented roster. The Bills will have to settle for a losing or .500 record for this season and the only blame they can cast that on is themselves. Minnesota Vikings (7-8) – The Vikings were 5-0 people. Now they sit at 7-8 and are looking at another missed playoffs and likely the end of Adrian Peterson’s time in Minnesota. A lot of questions to be answered in the near future for this franchise. Things should get interesting in Minneapolis. Arizona Cardinals (6-8-1) – The Cardinals were able to go into Seattle and grab a win at the expense of their bitter division rivals. Nothing is sweeter for this team as they were able to push the Seahawks out of the number two spot in the conference and will force them to play on wild card weekend. Great win for this team, big questions to be answered in the offseason for this team. Big bright spot for 2016 was the play of RB David Johnson. He was fantastic for this team and quietly put up MVP type numbers all season. Indianapolis Colts (7-8) – The Colts were subject to a loss at the hands of the Raiders on Saturday, but they are responsible for one of the biggest story lines of the season. The injury to Derek Carr. This will have a huge ripple effect on the AFC playoffs and possibly the Super Bowl. The Colts will have to solve their issues on defense this offseason to lend some help to their franchise player Andrew Luck. New Orleans Saints (7-8) – The Saints effectively ended the Buccaneers season on Saturday as they were able to grab a win on the road over their division rivals. The Saints look to have Brees at a high level for a couple more years and will really need to capitalize on that asap. Look for some big moves from this team in the offseason. Carolina Panthers (7-8) – I guess you can say that this season wasn’t a total bust for these Panthers as they are on the verge of going .500 after their slow start. They have begun to return to their ways of old recently and look to build upon that in 2017. Don’t count out Cam and company, they will be back. Philadelphia Eagles (6-9) – The Eagles were the talk of the town at 3-0 this season, but going 3-9 the rest of the way doesn’t help you much. This team is young, and they have a great defense. But they will need to help out the young Wentz on offense if they want to accomplish anything in the future. This team will be more competitive next season. Cincinnati Bengals (5-9-1) – The Bengals lost a heart breaker this week as they came up short 10-12 to the Texans on the road. On what should have been a chip shot, the Bengals missed wide right to send the Texans to the post season. These Bengals really had bad-luck this season and will be right back on top next year. You just have to know that this is not a thing that will happen every year, with a good draft pick, this team will be able to bounce back in 2017. New York Jets (4-11) – The Jets got killed on Saturday by the Patriots, this team has issues and they might just have to clean house. A lot to figure out in New York for this Jets team this offseason to stay competitive in that AFC East division. Jacksonville Jaguars (3-12) – The Jaguars messed up the Titans playoff chances this week by not only schooling the Titans, but by taking out their star quarterback for the season. This Jaguars team looks to be one of the most attractive landing spots for coaches next season, and it will be very interesting to see what pans out in Florida. Chicago Bears (3-12) – The Bears really can’t get anything going besides Jordan Howard. Howards would be a shoe-in any year for offensive rookie of the year, any year that is besides this year. Howard is one of the biggest bright spots of 2016 and will be back in full force in 2017. San Francisco 49ers (2-13) – The 49ers got an impressive win over the Rams this week as they were able to grab their second win of the season. This team will need an overhaul in the offseason. I still am not a believer in Chip Kelly, but this will help this team gain some confidence for the near future. Los Angeles Rams (4-11) – The Rams lost to the 49ers, definitely a low point for this very low year. The Rams have some work to do and it needs to be done asap. Lets see how things are handled in Los Angeles this offseason. Cleveland Browns (1-14) – My favorite memory of the season (I mean besides the Cowboys locking up the number one seed) is to see the winless Browns grab a win over the Chargers. If any team deserves a win, it was the Browns, and if any team deserved to lose to the Browns it was the Chargers. Good job Cleveland, you made my year. San Diego Chargers (5-10) – If you lose to the worst team in football, you ARE the worst team in football, at least for one week. The Chargers will clean house this season at least from the coaching standpoint. And if they don’t, expect a lot more of this. Next Post:Who Will Start for the Jets in 2017? Hey Andy, I hear what you are saying. I have been weary of the Bills in the past as well as earlier this season. But you have to admit that what they have been doing lately is impressive. For their current play, I have them in the top 10. Who would you have above them in the top ten? Sorry I did not see your last reply. 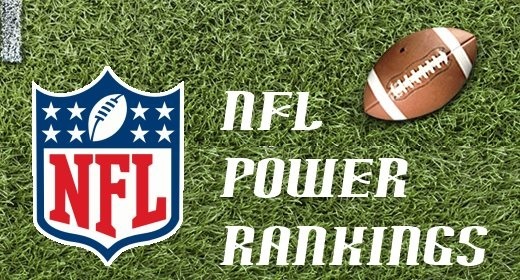 I was very upset with the Steelers performance in the Miami game which is why I had them ranked lower, plus the Raiders defense is not dependable enough yet to be considered a top 10 team. Oh and I have to say you were right about the Bills. So disappointing.